WeeMen: Legio Crucius - Warlord Titan - WIP #1 - Another Titan?!?! Legio Crucius - Warlord Titan - WIP #1 - Another Titan?!?! Hot on the heels of the Warbringer, ‘Mons Ignus’ and my second Warhound ‘Black Strider’, I've started my next project - ‘Hell's Daughter’, a Legio Crucius Warlord. 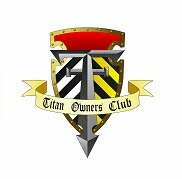 The plan and aim is to have the titan ready for the Titan Owners Club UK Walk in June (around 80 days to go). So far the build has gone well, the legs are pinned into place in the ankles, knees and in several spots around the hips. The torso was a little more complicated than hoped as i am looking for access for the LED's (You might have spotted the LED's in the torso search lights.. The initial plan was to not fix the 'roof' however I am looking at a second option as the roof offers a lot of support to the body, and it might be wise to have this fixed into place. The shoulders are fully pinned, and I have also added magnets to the arms to allow for weapons to be swapped out. I am happy with the pose so far, the plan will be for the model to be looking to the right, with the weapons both fixed to a set point. All of the panels are set, ready to be painted as are the weapons. Go for it!! I'll be wishing you on!! A warlord in 80 days is a bold undertaking. It will be interesting to follow. As for access to the interior, my Warlord does not have the back attached and I have not seen any bad effects after two years. I think the shoulder arches, if glued in properly will prevent the side walls to bend outward and the arm pieces are also quite substantial. On the rear the exhausts clamp the back walls. So I think the box is quite stable even without the roof. But it is a big piece to leave un-attached so if you have some other plans that does not require this it might be better. Anyway, it will be an interesting build. 80 days... may the Emperor bless your journey. This blog is in no way endorsed by, or directly connected to, Games Workshop Group PLC. 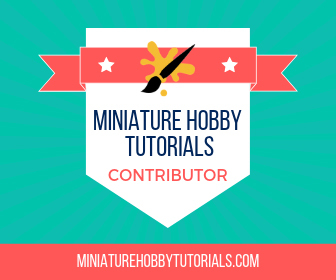 As this blog is a reflection / presentation of our hobby - it is important to point out that the copyright for the GW miniatures remains with Games Workshop. For a full disclaimer, please read the bottom of this webpage. Aim is an arbitary 100pts a year to keep the grey plastic/resin tide at bay! 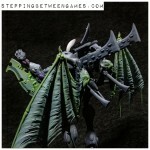 This blog is completely unofficial and in no way endorsed by Games Workshop Limited. Adeptus Astartes, Battlefleet Gothic, Black Flame, Black Library, the Black Library logo, BL Publishing, Blood Angels, Bloodquest, Blood Bowl, the Blood Bowl logo, The Blood Bowl Spike Device, Cadian, Catachan, the Chaos device, Cityfight, the Chaos logo, Citadel, Citadel Device, City of the Damned, Codex, Daemonhunters, Dark Angels, Dark Eldar, Dark Future, the Double-Headed/Imperial Eagle device, 'Eavy Metal, Eldar, Eldar symbol devices, Epic, Eye of Terror, Fanatic, the Fanatic logo, the Fanatic II logo, Fire Warrior, Forge World, Games Workshop, Games Workshop logo, Genestealer, Golden Demon, Gorkamorka, Great Unclean One, the Hammer of Sigmar logo, Horned Rat logo, Inferno, Inquisitor, the Inquisitor logo, the Inquisitor device, Inquisitor:Conspiracies, Keeper of Secrets, Khemri, Khorne, Kroot, Lord of Change, Marauder, Mordheim, the Mordheim logo, Necromunda, Necromunda stencil logo, Necromunda Plate logo, Necron, Nurgle, Ork, Ork skull devices, Sisters of Battle, Skaven, the Skaven symbol devices, Slaanesh, Space Hulk, Space Marine, Space Marine chapters, Space Marine chapter logos, Talisman, Tau, the Tau caste designations, Tomb Kings, Trio of Warriors, Twin Tailed Comet Logo, Tyranid, Tyrannid, Tzeentch, Ultramarines, Warhammer, Warhammer Historical, Warhammer Online, Warhammer 40k Device, Warhammer World logo, Warmaster, White Dwarf, the White Dwarf logo, and all associated marks, names, races, race insignia, characters, vehicles, locations, units, illustrations and images from the Blood Bowl game, the Warhammer world, the Talisaman world, and the Warhammer 40,000 universe are either ®, TM and/or © Copyright Games Workshop Ltd 2000-2017, variably registered in the UK and other countries around the world. Used without permission. No challenge to their status intended. All Rights Reserved to their respective owners.